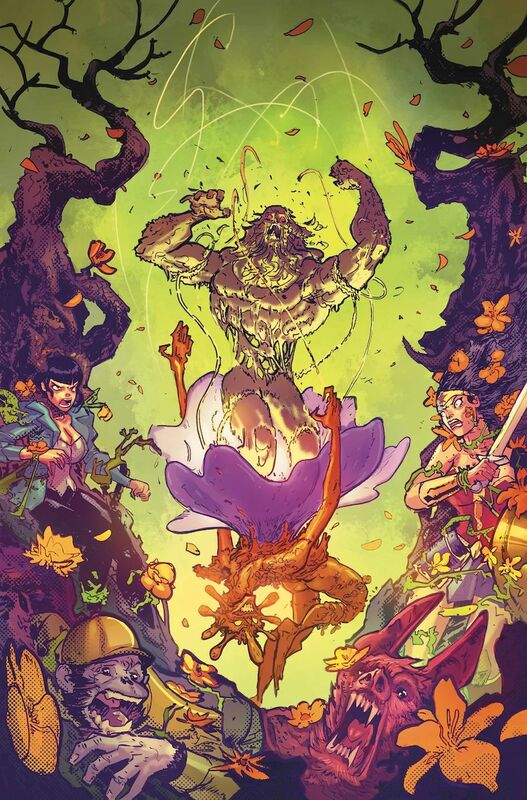 Swamp Thing takes centre stage in this one-of-a-kind story that will change the Green forever! After the fall of the Parliament of Trees, the Parliament of Flowers and its new guardian have risen. It’s now up to Alec Holland to convince him to become a benevolent protector of the world, but little does he know, a foe from his past, the Floronic Man, is trying to sway the guardian as well. Which path will the King of Petals choose? The fate of mankind depends on it!